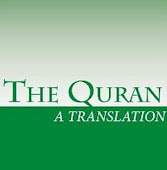 YUSUFALI: Sad: By the Qur'an, Full of Admonition: (This is the Truth). SHAKIR: Suad, I swear by the Quran, full of admonition. YUSUFALI: But the Unbelievers (are steeped) in self-glory and Separatism. PICKTHAL: Nay, but those who disbelieve are in false pride and schism. SHAKIR: Nay! those who disbelieve are in self-exaltation and opposition. YUSUFALI: How many generations before them did We destroy? In the end they cried (for mercy)- when there was no longer time for being saved! PICKTHAL: How many a generation We destroyed before them, and they cried out when it was no longer the time for escape! SHAKIR: How many did We destroy before them of the generations, then they cried while the time of escaping had passed away. YUSUFALI: So they wonder that a Warner has come to them from among themselves! and the Unbelievers say, "This is a sorcerer telling lies! PICKTHAL: And they marvel that a warner from among themselves hath come unto them, and the disbelievers say: This is a wizard, a charlatan. SHAKIR: And they wonder that there has come to them a warner from among themselves, and the disbelievers say: This IS an enchanter, a liar. YUSUFALI: "Has he made the gods (all) into one Allah? Truly this is a wonderful thing!" PICKTHAL: Maketh he the gods One Allah? Lo! that is an astounding thing. SHAKIR: What! makes he the gods a single Allah? A strange thing is this, to be sure! YUSUFALI: And the leader among them go away (impatiently), (saying), "Walk ye away, and remain constant to your gods! For this is truly a thing designed (against you)! PICKTHAL: The chiefs among them go about, exhorting: Go and be staunch to your gods! Lo! this is a thing designed. SHAKIR: And the chief persons of them break forth, saying: Go and steadily adhere to your gods; this is most surely a thing sought after. YUSUFALI: "We never heard (the like) of this among the people of these latter days: this is nothing but a made-up tale!" PICKTHAL: We have not heard of this in later religion. This is naught but an invention. YUSUFALI: "What! has the Message been sent to him - (Of all persons) among us? "...but they are in doubt concerning My (Own) Message! Nay, they have not yet tasted My Punishment! PICKTHAL: Hath the reminder been unto him (alone) among us? Nay, but they are in doubt concerning My reminder; nay but they have not yet tasted My doom. SHAKIR: Has the reminder been revealed to him from among us? Nay! they are in doubt as to My reminder. Nay! they have not yet tasted My chastisement! YUSUFALI: Or have they the treasures of the mercy of thy Lord,- the Exalted in Power, the Grantor of Bounties without measure? PICKTHAL: Or are theirs the treasures of the mercy of thy Lord, the Mighty, the Bestower? SHAKIR: Or is it that they have the treasures of the mercy of your Lord, the Mighty, the great Giver? YUSUFALI: Or have they the dominion of the heavens and the earth and all between? If so, let them mount up with the ropes and means (to reach that end)! PICKTHAL: Or is the kingdom of the heavens and the earth and all that is between them theirs? Then let them ascend by ropes! YUSUFALI: But there - will be put to flight even a host of confederates. PICKTHAL: A defeated host are (all) the factions that are there. SHAKIR: A host of deserters of the allies shall be here put to flight. SHAKIR: The people of Nuh and Ad, and Firon, the lord of spikes, rejected (messengers) before them. YUSUFALI: And Thamud, and the people of Lut, and the Companions of the Wood; - such were the Confederates. PICKTHAL: And (the tribe of) Thamud, and the folk of Lot, and the dwellers in the wood: these were the factions. SHAKIR: And Samood and the people of Lut and the dwellers of the thicket; these were the parties. YUSUFALI: Not one (of them) but rejected the messengers, but My punishment came justly and inevitably (on them). SHAKIR: There was none of them but called the messengers liars, so just was My retribution. YUSUFALI: These (today) only wait for a single mighty Blast, which (when it comes) will brook no delay. PICKTHAL: These wait for but one Shout, there will be no second thereto. SHAKIR: Nor do these await aught but a single cry, there being no delay in it. YUSUFALI: They say: "Our Lord! hasten to us our sentence (even) before the Day of Account!" PICKTHAL: They say: Our Lord! Hasten on for us our fate before the Day of Reckoning. SHAKIR: And they say: O our Lord! hasten on to us our portion before the day of reckoning. YUSUFALI: Have patience at what they say, and remember our servant David, the man of strength: for he ever turned (to Allah). PICKTHAL: Bear with what they say, and remember Our bondman David, lord of might, Lo! he was ever turning in repentance (toward Allah). SHAKIR: Bear patiently what they say, and remember Our servant Dawood, the possessor of power; surely he was frequent m returning (to Allah). YUSUFALI: And the birds gathered (in assemblies): all with him did turn (to Allah). PICKTHAL: And the birds assembled; all were turning unto Him. SHAKIR: And the birds gathered together; all joined in singing with him. YUSUFALI: We strengthened his kingdom, and gave him wisdom and sound judgment in speech and decision. PICKTHAL: We made his kingdom strong and gave him wisdom and decisive speech. SHAKIR: And We strengthened his kingdom and We gave him wisdom and a clear judgment. SHAKIR: And has there come to you the story of the litigants, when they made an entry into the private chamber by ascending over the walls? YUSUFALI: When they entered the presence of David, and he was terrified of them, they said: "Fear not: we are two disputants, one of whom has wronged the other: Decide now between us with truth, and treat us not with injustice, but guide us to the even Path..
PICKTHAL: How they burst in upon David, and he was afraid of them. They said: Be not afraid! (We are) two litigants, one of whom hath wronged the other, therefor judge aright between us; be not unjust; and show us the fair way. SHAKIR: When they entered in upon Dawood and he was frightened at them, they said: Fear not; two litigants, of whom one has acted wrongfully towards the other, therefore decide between us with justice, and do not act unjustly, and guide us to the right way. YUSUFALI: "This man is my brother: He has nine and ninety ewes, and I have (but) one: Yet he says, 'commit her to my care,' and is (moreover) harsh to me in speech." PICKTHAL: Lo! this my brother hath ninety and nine ewes while I had one ewe; and he said: Entrust it to me, and he conquered me in speech. SHAKIR: Surely this is my brother; he has ninety-nine ewes and I have a single ewe; but he said: Make it over to me, and he has prevailed against me in discourse. YUSUFALI: (David) said: "He has undoubtedly wronged thee in demanding thy (single) ewe to be added to his (flock of) ewes: truly many are the partners (in business) who wrong each other: Not so do those who believe and work deeds of righteousness, and how few are they? "...and David gathered that We had tried him: he asked forgiveness of his Lord, fell down, bowing (in prostration), and turned (to Allah in repentance). PICKTHAL: (David) said: He hath wronged thee in demanding thine ewe in addition to his ewes, and lo! many partners oppress one another, save such as believe and do good works, and they are few. And David guessed that We had tried him, and he sought forgiveness of his Lord, and he bowed himself and fell down prostrate and repented. SHAKIR: He said: Surely he has been unjust to you in demanding your ewe (to add) to his own ewes; and most surely most of the partners act wrongfully towards one another, save those who believe and do good, and very few are they; and Dawood was sure that We had tried him, so he sought the protection of his Lord and he fell down bowing and turned time after time (to Him). YUSUFALI: So We forgave him this (lapse): he enjoyed, indeed, a Near Approach to Us, and a beautiful place of (Final) Return. PICKTHAL: So We forgave him that; and lo! he had access to Our presence and a happy journey's end. SHAKIR: Therefore We rectified for him this, and most surely he had a nearness to Us and an excellent resort. YUSUFALI: O David! We did indeed make thee a vicegerent on earth: so judge thou between men in truth (and justice): Nor follow thou the lusts (of thy heart), for they will mislead thee from the Path of Allah: for those who wander astray from the Path of Allah, is a Penalty Grievous, for that they forget the Day of Account. PICKTHAL: (And it was said unto him): O David! Lo! We have set thee as a viceroy in the earth; therefor judge aright between mankind, and follow not desire that it beguile thee from the way of Allah. Lo! those who wander from the way of Allah have an awful doom, forasmuch as they forgot the Day of Reckoning. SHAKIR: o Dawood ! surely We have made you a ruler in the land; so judge between men with justice and do not follow desire, lest it should lead you astray from the path of Allah; (as for) those who go astray from the path of Allah, they shall surely have a severe punishment because they forgot the day of reckoning. YUSUFALI: Not without purpose did We create heaven and earth and all between! that were the thought of Unbelievers! but woe to the Unbelievers because of the Fire (of Hell)! PICKTHAL: And We created not the heaven and the earth and all that is between them in vain. That is the opinion of those who disbelieve. And woe unto those who disbelieve, from the Fire! SHAKIR: And We did not create the heaven and the earth and what is between them in vain; that is the opinion of those who disbelieve then woe to those who disbelieve on account of the fire. YUSUFALI: Shall We treat those who believe and work deeds of righteousness, the same as those who do mischief on earth? Shall We treat those who guard against evil, the same as those who turn aside from the right? PICKTHAL: Shall We treat those who believe and do good works as those who spread corruption in the earth; or shall We treat the pious as the wicked? SHAKIR: Shall We treat those who believe and do good like the mischief-makers in the earth? Or shall We make those who guard (against evil) like the wicked? YUSUFALI: (Here is) a Book which We have sent down unto thee, full of blessings, that they may mediate on its Signs, and that men of understanding may receive admonition. PICKTHAL: (This is) a Scripture that We have revealed unto thee, full of blessing, that they may ponder its revelations, and that men of understanding may reflect. SHAKIR: (It is) a Book We have revealed to you abounding in good that they may ponder over its verses, and that those endowed with understanding may be mindful. YUSUFALI: To David We gave Solomon (for a son),- How excellent in Our service! Ever did he turn (to Us)! PICKTHAL: And We bestowed on David, Solomon. How excellent a slave! Lo! he was ever turning in repentance (toward Allah). SHAKIR: And We gave to Dawood Sulaiman, most excellent the servant! Surely he was frequent in returning (to Allah). PICKTHAL: And he said: Lo! I have preferred the good things (of the world) to the remembrance of my Lord; till they were taken out of sight behind the curtain. YUSUFALI: "Bring them back to me." then began he to pass his hand over (their) legs and their necks. PICKTHAL: (Then he said): Bring them back to me, and fell to slashing (with his sword their) legs and necks. SHAKIR: Bring them back to me; so he began to slash (their) legs and necks. PICKTHAL: And verily We tried Solomon, and set upon his throne a (mere) body. Then did he repent. SHAKIR: And certainly We tried Sulaiman, and We put on his throne a (mere) body, so he turned (to Allah). YUSUFALI: He said, "O my Lord! Forgive me, and grant me a kingdom which, (it may be), suits not another after me: for Thou art the Grantor of Bounties (without measure). PICKTHAL: He said: My Lord! Forgive me and bestow on me sovereignty such as shall not belong to any after me. Lo! Thou art the Bestower. PICKTHAL: So We made the wind subservient unto him, setting fair by his command whithersoever he intended. YUSUFALI: As also others bound together in fetters. SHAKIR: And others fettered in chains. YUSUFALI: "Such are Our Bounties: whether thou bestow them (on others) or withhold them, no account will be asked." PICKTHAL: (Saying): This is Our gift, so bestow thou, or withhold, without reckoning. SHAKIR: This is Our free gift, therefore give freely or withhold, without reckoning. YUSUFALI: And he enjoyed, indeed, a Near Approach to Us, and a beautiful Place of (Final) Return. PICKTHAL: And lo! he hath favour with Us, and a happy journey's end. SHAKIR: And most surely he had a nearness to Us and an excellent resort. YUSUFALI: Commemorate Our Servant Job. Behold he cried to his Lord: "The Evil One has afflicted me with distress and suffering!" PICKTHAL: And make mention (O Muhammad) of Our bondman Job, when he cried unto his Lord (saying): Lo! the devil doth afflict me with distress and torment. SHAKIR: And remember Our servant Ayyub, when he called upon his Lord: The Shaitan has afflicted me with toil and torment. YUSUFALI: (The command was given:) "Strike with thy foot: here is (water) wherein to wash, cool and refreshing, and (water) to drink." PICKTHAL: (And it was said unto him): Strike the ground with thy foot. This (spring) is a cool bath and a refreshing drink. SHAKIR: Urge with your foot; here is a cool washing-place and a drink. YUSUFALI: And We gave him (back) his people, and doubled their number,- as a Grace from Ourselves, and a thing for commemoration, for all who have Understanding. PICKTHAL: And We bestowed on him (again) his household and therewith the like thereof, a mercy from Us, and a memorial for men of understanding. SHAKIR: And We gave him his family and the like of them with them, as a mercy from Us, and as a reminder to those possessed of understanding. YUSUFALI: "And take in thy hand a little grass, and strike therewith: and break not (thy oath)." Truly We found him full of patience and constancy. How excellent in Our service! ever did he turn (to Us)! PICKTHAL: And (it was said unto him): Take in thine hand a branch and smite therewith, and break not thine oath. Lo! We found him steadfast, how excellent a slave! Lo! he was ever turning in repentance (to his Lord). SHAKIR: And take in your hand a green branch and beat her with It and do not break your oath; surely We found him patient; most excellent the servant! Surely he was frequent m returning (to Allah). YUSUFALI: And commemorate Our Servants Abraham, Isaac, and Jacob, possessors of Power and Vision. PICKTHAL: And make mention of Our bondmen, Abraham, Isaac and Jacob, men of parts and vision. SHAKIR: And remember Our servants Ibrahim and Ishaq and Yaqoub, men of power and insight. YUSUFALI: Verily We did choose them for a special (purpose)- proclaiming the Message of the Hereafter. PICKTHAL: Lo! We purified them with a pure thought, remembrance of the Home (of the Hereafter). SHAKIR: Surely We purified them by a pure quality, the keeping m mind of the (final) abode. YUSUFALI: They were, in Our sight, truly, of the company of the Elect and the Good. PICKTHAL: Lo! in Our sight they are verily of the elect, the excellent. SHAKIR: And most surely they were with Us, of the elect, the best. YUSUFALI: And commemorate Isma'il, Elisha, and Zul-Kifl: Each of them was of the Company of the Good. PICKTHAL: And make mention of Ishmael and Elisha and Dhu'l-Kifl. All are of the chosen. SHAKIR: And remember Ismail and Al-Yasha and Zulkifl; and they were all of the best. SHAKIR: The gardens of perpetuity, the doors are opened for them. PICKTHAL: Wherein, reclining, they call for plenteous fruit and cool drink (that is) therein. SHAKIR: Reclining therein, calling therein for many fruits and drink. YUSUFALI: And beside them will be chaste women restraining their glances, (companions) of equal age. PICKTHAL: And with them are those of modest gaze, companions. SHAKIR: And with them shall be those restraining their eyes, equals in age. YUSUFALI: Such is the Promise made, to you for the Day of Account! PICKTHAL: This it is that ye are promised for the Day of Reckoning. SHAKIR: This is what you are promised for the day of reckoning. PICKTHAL: Lo! this in truth is Our provision, which will never waste away. PICKTHAL: Hell, where they will burn, an evil resting-place. SHAKIR: Hell; they shall enter it, so evil is the resting-place. SHAKIR: This (shall be so); so let them taste it, boiling and intensely cold (drink). YUSUFALI: And other Penalties of a similar kind, to match them! PICKTHAL: And other (torment) of the kind in pairs (the two extremes)! SHAKIR: And other (punishment) of the same kind-- of various sorts. YUSUFALI: Here is a troop rushing headlong with you! No welcome for them! truly, they shall burn in the Fire! PICKTHAL: Here is an army rushing blindly with you. (Those who are already in the Fire say): No word of welcome for them. Lo! they will roast at the Fire. SHAKIR: This is an army plunging in without consideration along with you; no welcome for them, surely they shall enter fire. YUSUFALI: (The followers shall cry to the misleaders:) "Nay, ye (too)! No welcome for you! It is ye who have brought this upon us! Now evil is (this) place to stay in!" PICKTHAL: They say: Nay, but you (misleaders), for you there is no word of welcome. Ye prepared this for us (by your misleading). Now hapless is the plight. SHAKIR: They shall say: Nay! you-- no welcome to you: you did proffer it to us, so evil is the resting-place. YUSUFALI: They will say: "Our Lord! whoever brought this upon us,- Add to him a double Penalty in the Fire!" PICKTHAL: They say: Our Lord! Whoever did prepare this for us, oh, give him double portion of the Fire! SHAKIR: They shall say: Our Lord! whoever prepared it first for us, add Thou to him a double chastisement in the fire. YUSUFALI: And they will say: "What has happened to us that we see not men whom we used to number among the bad ones? PICKTHAL: And they say: What aileth us that we behold not men whom we were wont to count among the wicked? SHAKIR: And they shall say: What is the matter with us that we do not see men whom we used to count among the vicious? YUSUFALI: "Did we treat them (as such) in ridicule, or have (our) eyes failed to perceive them?" PICKTHAL: Did we take them (wrongly) for a laughing-stock, or have our eyes missed them? SHAKIR: Was it that we (only) took them in scorn, or have our eyes (now) turned aside from them? YUSUFALI: Truly that is just and fitting,- the mutual recriminations of the People of the Fire! PICKTHAL: Lo! that is very truth: the wrangling of the dwellers in the Fire. SHAKIR: That most surely is the truth: the contending one with another of the inmates of the fire. YUSUFALI: "The Lord of the heavens and the earth, and all between,- Exalted in Might, able to enforce His Will, forgiving again and again." PICKTHAL: Lord of the heavens and the earth and all that is between them, the Mighty, the Pardoning. SHAKIR: The Lord of the heavens and the earth and what is between them, the Mighty, the most Forgiving. YUSUFALI: "From which ye do turn away! PICKTHAL: Whence ye turn away! YUSUFALI: "No knowledge have I of the Chiefs on high, when they discuss (matters) among themselves. YUSUFALI: 'Only this has been revealed to me: that I am to give warning plainly and publicly." PICKTHAL: It is revealed unto me only that I may be a plain warner. SHAKIR: Naught is revealed to me save that I am a plain warner. YUSUFALI: "When I have fashioned him (in due proportion) and breathed into him of My spirit, fall ye down in obeisance unto him." SHAKIR: So when I have made him complete and breathed into him of My spirit, then fall down making obeisance to him. YUSUFALI: Not so Iblis: he was haughty, and became one of those who reject Faith. PICKTHAL: Saving Iblis; he was scornful and became one of the disbelievers. SHAKIR: But not Iblis: he was proud and he was one of the unbelievers. YUSUFALI: (Allah) said: "O Iblis! What prevents thee from prostrating thyself to one whom I have created with my hands? Art thou haughty? Or art thou one of the high (and mighty) ones?" PICKTHAL: He said: O Iblis! What hindereth thee from falling prostrate before that which I have created with both My hands? Art thou too proud or art thou of the high exalted? SHAKIR: He said: O Iblis! what prevented you that you should do obeisance to him whom I created with My two hands? Are you proud or are you of the exalted ones? YUSUFALI: (Iblis) said: "I am better than he: thou createdst me from fire, and him thou createdst from clay." PICKTHAL: He said: I am better than him. Thou createdst me of fire, whilst him Thou didst create of clay. SHAKIR: He said: I am better than he; Thou hast created me of fire, and him Thou didst create of dust. YUSUFALI: (Allah) said: "Then get thee out from here: for thou art rejected, accursed. YUSUFALI: "And My curse shall be on thee till the Day of Judgment." PICKTHAL: And lo! My curse is on thee till the Day of Judgment. SHAKIR: And surely My curse is on you to the day of judgment. YUSUFALI: (Iblis) said: "O my Lord! Give me then respite till the Day the (dead) are raised." PICKTHAL: He said: My Lord! Reprieve me till the day when they are raised. SHAKIR: He said: My Lord! then respite me to the day that they are raised. YUSUFALI: "Till the Day of the Time Appointed." PICKTHAL: Until the day of the time appointed. SHAKIR: Till the period of the time made known. YUSUFALI: "Except Thy Servants amongst them, sincere and purified (by Thy Grace)." PICKTHAL: Save Thy single-minded slaves among them. SHAKIR: Except Thy servants from among them, the purified ones. YUSUFALI: "That I will certainly fill Hell with thee and those that follow thee,- every one." PICKTHAL: That I shall fill hell with thee and with such of them as follow thee, together. SHAKIR: That I will most certainly fill hell with you and with those among them who follow you, all. YUSUFALI: Say: "No reward do I ask of you for this (Qur'an), nor am I a pretender. PICKTHAL: Say (O Muhammad, unto mankind): I ask of you no fee for this, and I am no simulating. YUSUFALI: "This is no less than a Message to (all) the Worlds. YUSUFALI: "And ye shall certainly know the truth of it (all) after a while." PICKTHAL: And ye will come in time to know the truth thereof. SHAKIR: And most certainly you will come to know about it after a time.